modeFRONTIER 2016 is now available for multidisciplinary simulations. EnSight‘s FAQ for July 2016 includes tips on their calculator and blanked elements. Engineering.com shares some of what’s coming in Polygonica v1.4: new remeshing and point cloud tools. Taking shortcuts on geometry prep can negatively affect your CFD results. ANSYS shares tips on how to prepare geometry for CFD. The KUBRIX mesher is now available as a Rhino-plugin. You can now build boundaries for ANSYS in CAESES. 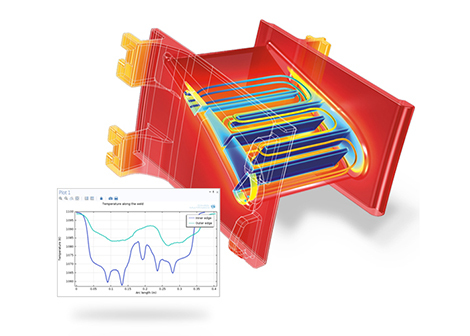 DEVELOP3D delves into COMSOL Multiphysics 5.2. It’ll be here before you know it. Join us in Fort Worth, Texas on 21-22 September for the Pointwise User Group Meeting. Day 1 is replete with seminars on the latest meshing techniques in Pointwise. Come and sharpen your tool set and consult with our expert engineers. Day 1 ends with a Welcome Reception for all attendees. Day 2 is your opportunity to share your work in CFD using Pointwise, to learn from others doing the same, and hear from us about what’s happening in mesh generation. Day 2 ends with a fun after-party that you won’t want to miss. Don’t delay; take action today. The Call for Papers is open with a deadline of 22 July. Enter to win the Meshy Award by 05 August. Registration is open and the special hotel room rate expires on 26 August. Quantum HPC, provider of computing resources for CFD and CAE, launched the Quantum HPC Portal for controlling jobs run on a remote computer. HPCwire seeks nominations for their 2016 reader’s choice awards. Cast your votes by 12 August. You can help Tech Clarity identify how CAD can get better by participating in their Looking at the Future of CAD survey. Participants get a copy of the survey results and some might even win an Amazon gift card. Example simulation results from COMSOL Multiphysics 5.2. Image from DEVELOP3D. See link above. The Call for Papers for the 2016 FLOW-3D Americas Users Conference is now open with a due date coming up in two weeks (29 July). Here’s a very nice article from Engineering.com for engineering managers that touches on many of the issues and benefits related to expanding the use of simulation. Sandia National Labs seeks to hire a Mesh Generation Scientist (Experienced). Alert reader Jeff directed me to the artwork of Katy Ann Gilmore whose oeuvre includes captivating drawings like the one below composed of triangles. On her website she explains her interest in the relationship between 2D and its distortion into 3D. Check out Ms. Gilmore’s work on her Instagram page and on her website where you’ll find works for sale. Her murals are tempting. I wonder whether she knows she’s meshing? Artist Katy Ann Gilmore has a unique drawing style. Bonus: Seems like they’re everywhere. Yes, this is a Pokemon. Thanks to GrabCAD for the geometry model. This entry was posted in Events, Hardware, News, Software and tagged ANSYS, CAESES, EnSight, FLOW-3D, HPCwire, jobs, KUBRIX, meshing, modeFrontier, Pointwise, Pointwise User Group Meeting, Polygonica, Quantum HPC, Rhino. Bookmark the permalink. woow, pokemons are everywhere now. I wonder about the hit in productivty! 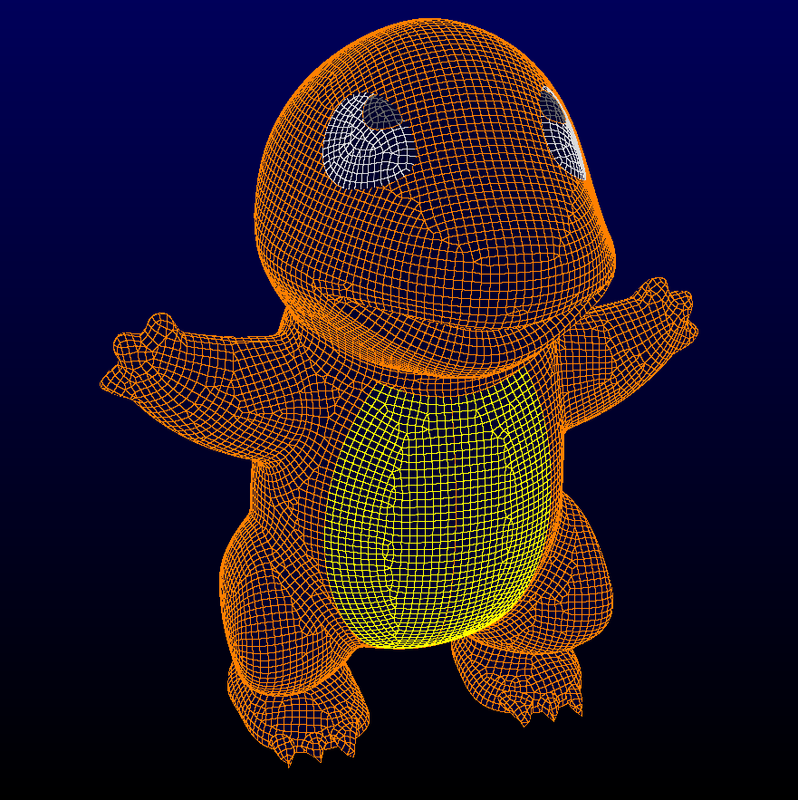 Is any way that you post the mesh model of the pokemon? No, sorry. I meshed that in Pointwise V18.0 which hasn’t been released yet. The geometry model is freely available on GrabCAD though.